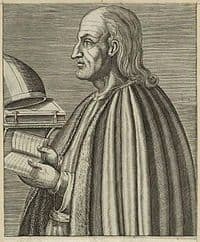 St Anselm was born of noble heritage at Aosta, Italy. At 15, he tried to join a monastery but, without his father’s agreement, he was refused entry. He then spent the following years, until he was 27, travelling through France before becoming a Benedictine novice at Bec Monastery, Normandy. In 1063, St Anselm was elected Prior of the monastery and remained there for the next 15 years. He produced many literary works which led to his recognition as an “outstanding philosopher and theologian of the eleventh century”. In 1093, after some hesitation, St Anselm accepted the position of Archbishop of Canterbury, however, following his investiture and disagreements with the monarchy, who insisted the Church be dependent upon them for their land and property, he was exiled from 1093 to 1109 by William II and from 1105 to 1107 by Henry I.
St Anselm’s Feast Day is 21st April, the day of his death. St Anselm is a noted Doctor of the Church, one of just thirty-five. Pray for us that our understanding of Jesus’ teachings will be a natural part of our daily words and actions.